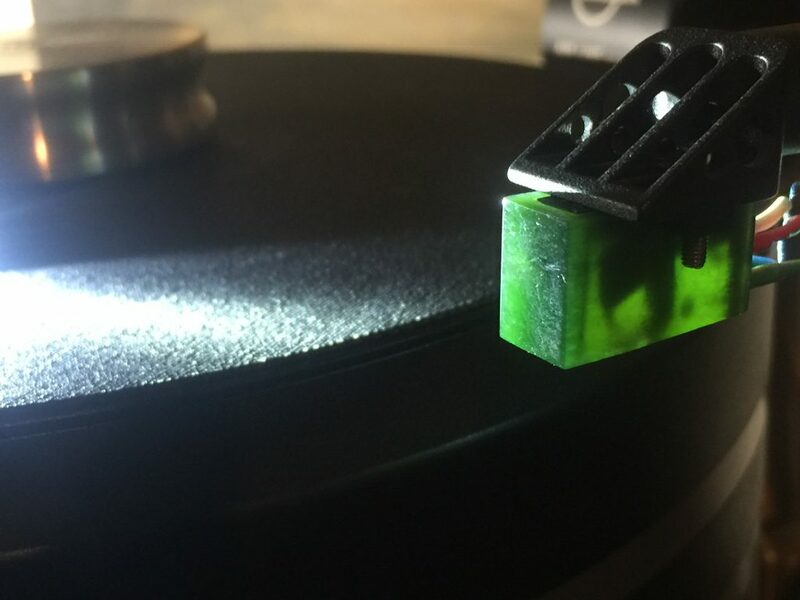 Though this site is devoted to the medium and the music rather than the machinery it is played on, I have had to reckon with cartridge aging recently. I tried an inexpensive stop-gap in the form of an older, rebuilt cartridge while my Airtight Supreme goes off for surgery. In the meantime, I finally got my hands on a Koetsu stone bodied cartridge, a Jade Platinum. Much has already been written about these newer Koetsus, which take the legendary midrange sound of the old Sugano-made Koetsu and extends the frequency range through some changes in wiring, magnets and the use of exotic stone bodies. 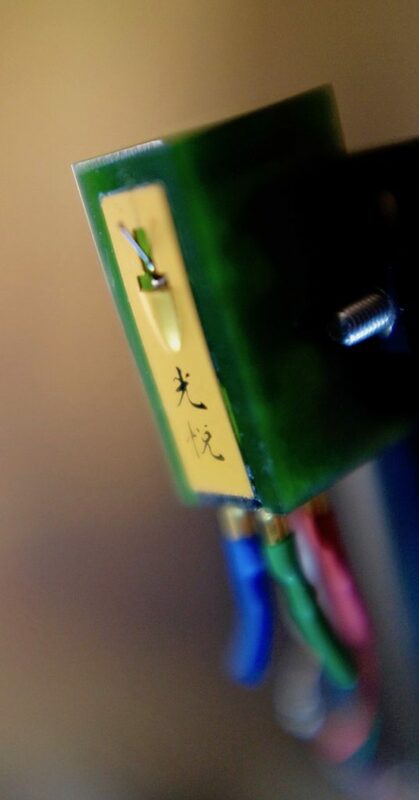 Having lived with some fairly well-regarded high-end phono cartridges for the past few decades, including Van den Hul, Lyra and Airtight, I was surprised by the sound of the Koetsu. I knew about the legendary midrange; I had experienced that first-hand many years ago when Koetsu first arrived on these shores. But I was not expecting what this cartridge is capable of in the lower octaves; fully formed, fleshed out bass, with shape, tone and dimension that can be described in much the same way as its midrange character. It presents a deep, rich tonality in the bass registers (if it is there on the recording) that makes a good recording of piano sound more like the actual, full sized instrument in a real space rather than a faint copy that is missing some vital ingredient. You know how most piano recordings are either close mic’d or recorded in such a way that they sound like miniature pianos? 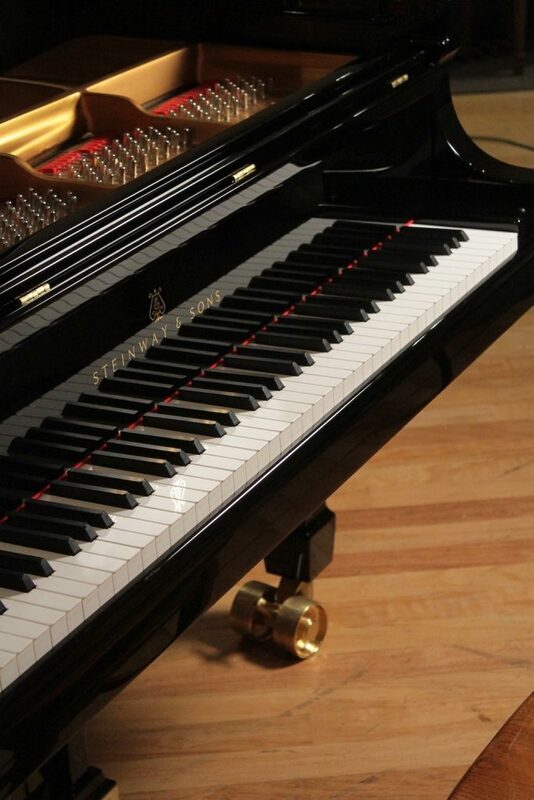 If the recording is done well, you will hear something that more closely resembles a real piano in scale, depth and harmonics through the Koetsu. Double bass has a sonority that is often only captured on close mic’d recordings that then throw off the perspective by sounding unnaturally close and enlarged out of proportion to the real instrument (and relative to the other instruments on the stage). Here, you get the tension of the strings and resonance of the instrument body from less hyper-focused recordings of the bass, which allows the instrument to be heard in a more realistic perspective. This adds a degree of realism to the illusion because the sonic cues of the instrument are there without being enlarged to the degree that they sound artificially zoomed-in or disproportionate in relation to the rest of the ensemble. I pretty much abandoned focusing on the audiophile attributes of “imaging” and “soundstage” when I switched to horn loudspeakers a dozen years ago. Rather than an imaginary performance taking place between and around the loudspeakers, I was, with the horns (and SET amps), able to get the performers “in the room” with a liveliness pretty much unmatched by other types of loudspeakers. Of course, I got that phantom image (what “stereo” was designed to do once we got past the early hard panned recordings) that so often startles those who have never heard a good hi-fi–– the illusion of a singer or performer stationed in the space between the loudspeakers, with a sense of a dimension, front to back. With improvements to the phono stage several years ago, the system was able to achieve pinpoint placement of instruments within the stage, with their own dynamics and shape. But what I’m describing here is far more than that. It’s a sense of dimensionality to the instruments and performers within the stage that is both more “filled in” and more firmly planted. I’ll use the term ‘holographic” to illustrate this. Holograms often don’t look real because they have a translucent aspect; though you get a 3d effect, you know it is an illusion because you can almost see through it. Here, that space is more solid, more “filled in” with more substance, more like a real “thing” in three-dimensional space rather than just a chimera. This solidity of the image also makes it sound more firmly planted in space. In short, what Koetsu has managed to do is take that legendary midrange quality for which it has long been known and extend those qualities down to the lower registers in a way that is extremely convincing. The high frequencies do not sparkle and shimmer in the way that some cartridges seem to emphasize; instead, I can hear a cymbal or bell or the upper harmonics of a stringed instrument without any “splash” or exaggerated emphasis. One of the problems I have with some well-regarded remastered LPs is that they tend to sound ‘tipped up’ or a little bright, compared to an early pressing. I think part of this may be due to the improvements in mastering equipment as well as a more modern style of listening that aims at hyper-realism. The Koetsu doesn’t do that in the upper registers. Rather than sounding “spectacular,” it seems to place the high frequencies in the same sonic dimension as the rest of the range, extending from the midrange. This also adds to the sense of a proportion—no aspect of the bandwidth, from low to high, seems to be particularly emphasized. This doesn’t sound “linear’ in the sense of dead flat boring; quite the opposite; it is visceral without sounding artificially warm or bloated. It’s all “of a piece” and that same quality of sound, from bottom to top, gives a sense of consistency to the perspective that also adds realism. One measure of realism for me is the timing of attack of the fundamental and decay of the associated harmonics. In this respect the Koetsu gets it right; not too much leading edge and not too warm or sluggish sounding. Nor does it sound too close in or distant; the impression is one of immediacy, but that has less to do with where you are placed in the hall than the quickness and dynamics of which the cartridge is capable. The vantage point seems to be a sweet spot, positionally, where everything gels, but is neither too close nor too far removed from the performers. In short, this cartridge gets so much right that everything else in my system seemed sound more complete, richer in vibrancy, tone and harmonics. The music seems more “alive” but not in a spectacular way; instead, it seems to capture that harmonic envelope within which the instrument is moving air. Obviously, much has to do with the quality of the recording being played. Coincidentally (and to further illustrate the point), one of my line stage tubes- old stock DR Reflektors– started to sound a little squirrely after 6 years and I grabbed a quick replacement- a modern production 6h30 which seemed to sound closed in and a little dull and lifeless. The qualities I prized- including dimensionality— seemed to collapse and the harmonic overtones—the suggestion of air or space around the instruments —were missing. I managed to track down another quad of vintage DR Reflektors and the full spectrum of the music was restored with a vividness and delicacy that those new production tubes simply could not match. That difference in sound resulting from these tube changes is akin to what I am hearing with this cartridge. What’s interesting is that these qualities I’m describing were pretty apparent right out of the box. I usually give cartridges some hours to settle in; for the suspension to relax a little before the thing really comes on song. This cartridge sounded “right” almost immediately, though it seems to need at least 4 sides of play (for now) to start hitting its stride (even after the rest of the system is warmed up). Perhaps that will change after more hours are clocked. My suspicion is that the cartridge will take less time to ‘warm up’ once it is more fully settled in. (The Airtight Supreme came on song after a couple sides once fully broken in and the system was warmed up). 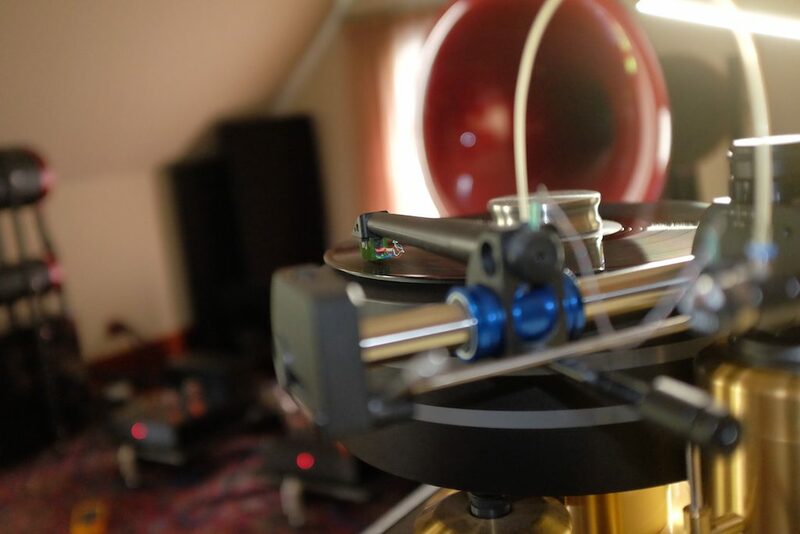 The Koetsu is of the medium compliance variety, which often calls for a “massier” tonearm. It seems to be a perfect match for my linear tracking arm, and with VTF at around 1.95 grams as I continue to break it in (“settle in” seems far less drastic), it tracks with aplomb and does not emphasize surface noise. To say I’m delighted with this cartridge is an understatement. Having played with some of the top contenders over the years, the Koetsu had long eluded me- partly because of my belief in the outdated (and erroneous) myth that it did midrange extraordinarily well but compromised the frequency extremes. Since I’m not listening solely to classical or female vocal or chamber music, I could not brook such a compromise. Thankfully, this myth is just that- a fairy tale of long standing that bears little semblance to the reality. Once some additional pieces arrive—second arm tower, second tone arm (with detachable headshell- yay! I can finally swap out cartridges a little more easily), I’ll write an update. One objective is to sort through more cartridges to hear how much they change the overall presentation of the records I’m writing about. I’m also still searching for that grail- the “on the cheap” cartridge that gets most of it right, has no intolerable sins of commission or omission and doesn’t require a home equity loan. This Koetsu, an admittedly expensive cartridge, is not at the top tier of pricing for a state-of-the-art cartridge today. My only regret is that I didn’t buy one sooner.